This awesome dancing security guard at the carpark of the Fisher Mall in Quezon City brings the late "King of Pop" Michael Jackson back to life. 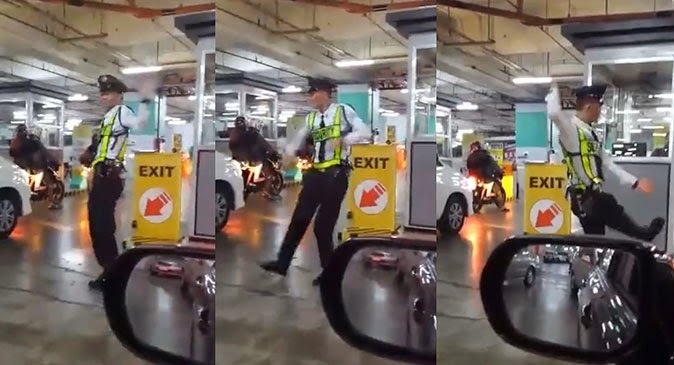 Motorist Armin Emil Bihis Tubelleja took a video when he spotted the dancing sekyu performing some MJ dance moves while doing his job at the parking area. The 22-second clip, which he shared on the Facebook page of motoring magazine TopGear Philippines, garnered more than 9,200 likes, 760 shares, and 106,000 views as of 1:15 p.m. on Wednesday, February 11. The dancing security guard has been sharing good vibes to Fisher Mall shoppers for months now. A similar video of him made its way online in November last year. Do you love seeing security guards entertaining mall goers while on the job?